Oklahoma City television station KFOR is reporting that people living in Pocasset are on the hunt for what they are calling a black panther or mountain lion that has been seen several times and has allegedly been preying on livestock. See their report below. Dahl claims a female neighbor encountered the creature while out on for a run. “It liked to scared her to death,” he said. 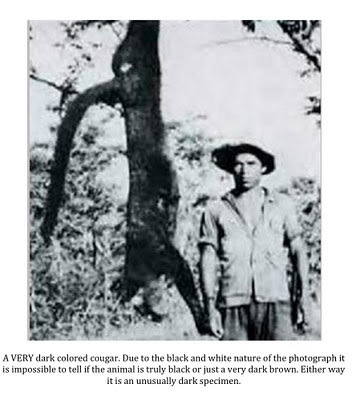 Dahl, himself, did not believe the stories of a black panther in the vicinity initially, not even after his own son spotted the animal; however, he quickly changed his mind once he got a look at the big cat for himself the very next day. “I said, ‘You saw a coyote.’ Well, the next day I saw it and it wasn’t no coyote,” he said. 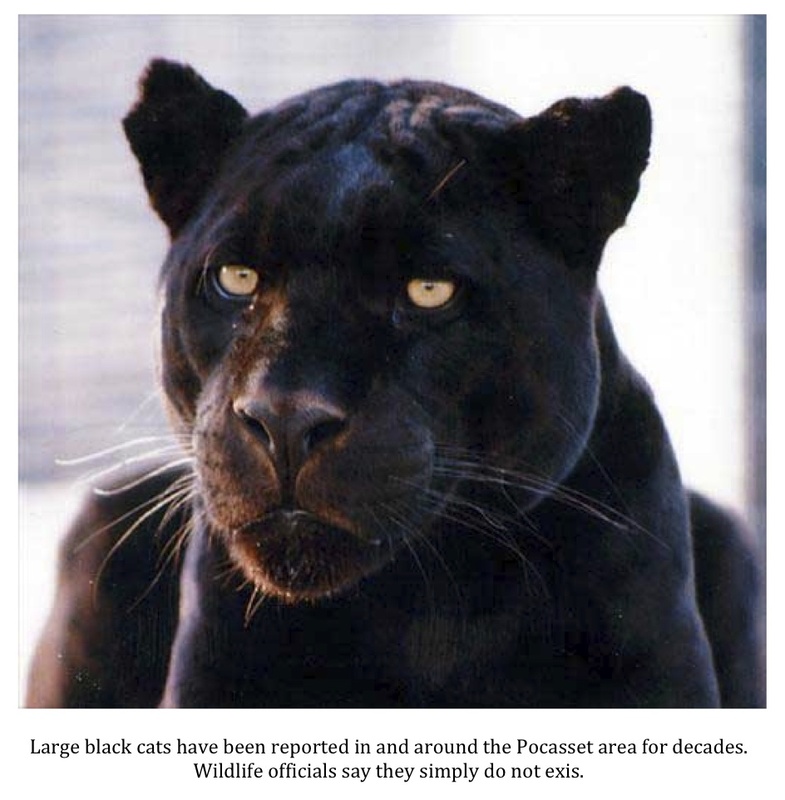 Oklahoma State Department of Wildlife officials are very skeptical of sightings of this large black cat and seem to be attributing it to a sort of mass hysteria following the capture of a cougar in Tulsa last week. A cougar that, predictably enough, is being called an escaped pet. So, once again the people who live and work in a rural area and know the land and the creatures that roam it best are being told they are mistaken. The quote from Game Warden Comer saying that, “You can’t always believe what your eyes are telling you,” has to be terribly insulting to those who claim to have seen this animal. Again, instead of investigating and possibly spending time in the area where the sightings are being reported, officials are just blowing the whole thing off as nonsense and treating those who say they’ve seen this large black cat as simpletons or bumpkins. 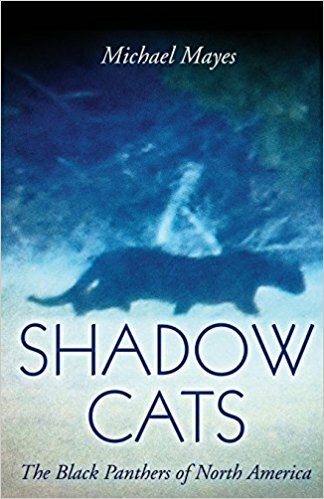 The fact that residents have been reporting sightings of large black cats for decades in and around Pocasset means little, I suppose. Update on Bell County "Mystery Predator"
I thought I would update the story of the mysterious predator that has been preying on livestock in rural Bell County. According to a story by Anthony Scott in the March 3 edition of the Killeen Daily Herald, people are backing away from the whole “mystery animal” label. Rancher Jim Bob Fisher, who has lost about $3,000 in goats to the predator, says what he saw was a coyote. While I agree with Mr. Fisher in that the animal in question is most likely a coyote, I think I do know why people are whispering wolf. It has to do with the descriptions Fisher, and others who claim to have seen the animal, have given regarding its size. Even in the March 3 article Fisher, while denying the canine was a wolf, talked about the exceptional size of the coyote he has seen. Bell County Commissioner John Fisher, Jim’s father, concurs. Bell County Game Warden Billy Champlin doesn’t think anything too unusual is going on. 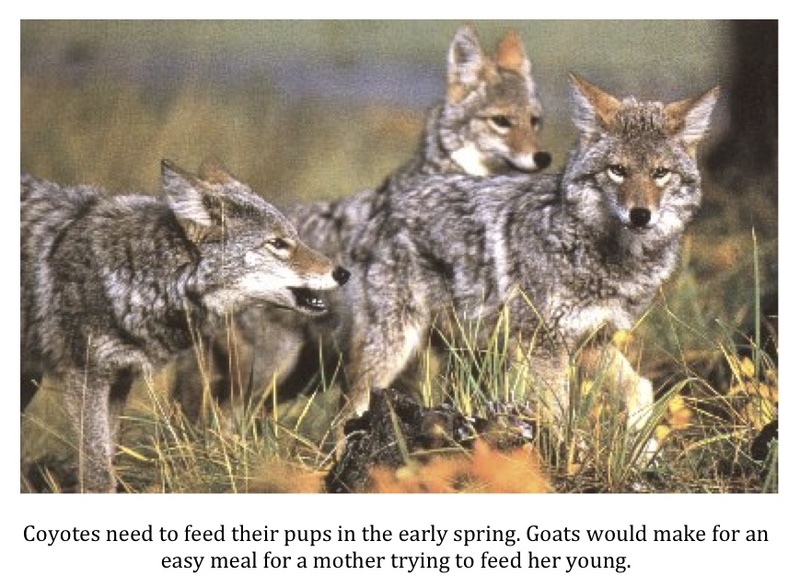 The end of winter and early spring are the times of year when goats and coyotes have their young. Coyotes are going to have to work overtime to feed their pups. Goats, particularly young ones, make attractive targets. While Champlin doesn’t think anything odd is occurring in Bell County he does leave open the possibility than an animal other than a coyote is responsible for the predation. “It’s quite possible, whether it’s coyotes or mountain lions; it’s hard to know without investigating. Either one, we have them all. We have mountain lions, coyotes, and bobcats. They’re wild animals and they get hungry,” he said. As I noted in my original post on this story, I believe a coyote or coyotes, are the most likely culprit(s). I think the lack of any official investigation by the Texas Parks & Wildlife is a sure sign that the story has been overblown. I do think it is possible a big cat could be responsible for the killings but until one is seen, a track is found, a photo is snapped, or something larger than goats are taken, coyotes remain number one on the suspect list. 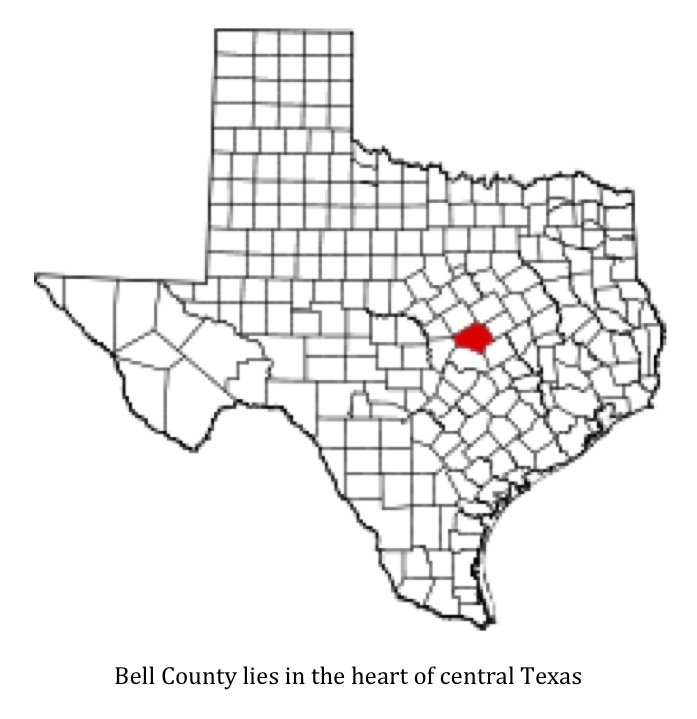 Some will be disappointed that there is likely nothing more mysterious than coyotes stalking small livestock in Bell County. I would disagree. I think the entire situation is a fascinating peek into the delicate dance that is going on between humans and the wild things that are left in our world. While the ranchers who are losing money due to predation would likely disagree, I am glad to know that some of the predators that were once so common in this part of the world remain. According to a story published by the Associated Press, a 70 lb. mountain lion was captured in the backyard of a Tulsa Oklahoma home this past Saturday. Tulsa is the 47th largest city in the United States and has a population of nearly 392,000 according to the 2010 census. This is not exactly the sort of place that is usually considered panther territory. Tulsa police, Tulsa Animal Control, officials from the Tulsa Zoo, and Oklahoma Department of Wildlife Conservation responded to a phone call from Luke Roberts, a homeowner in north Tulsa. It seems that Roberts came out of his house and spotted the big cat lounging on a limb about 20 feet up in a tree around noon. Officials were able to tranquilize the mountain lion (Puma concolor) and capture it. It did get interesting briefly as the lion, after being hit with the dart, leapt out of the tree and ran through several backyards in the neighborhood before finally succumbing to the effects of the tranquilizer and losing conciousness. Veterinarian Kay Backues told the AP that the lion had no apparent injuries and will be taken to the Tulsa Zoo until a permanent home for it can be located. 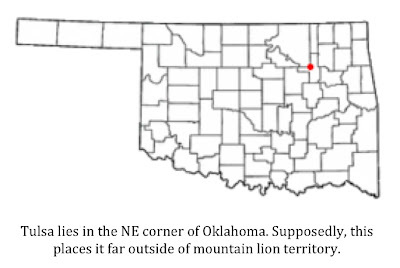 Nearly all charts showing mountain lion distribution in North America leave Oklahoma out of the equation all together. 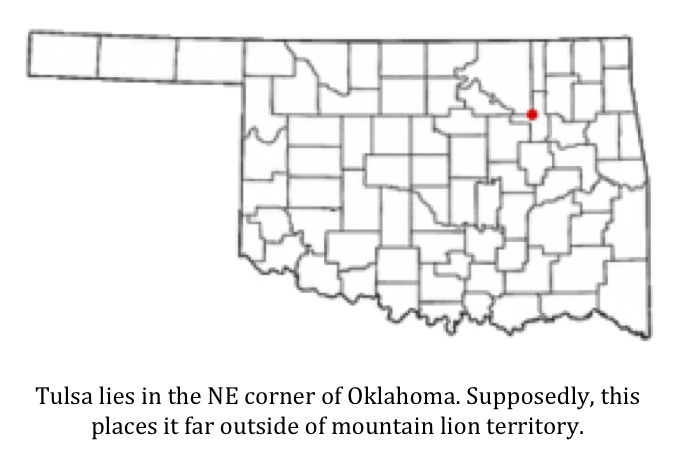 At best, the charts show Oklahoma as part of the “former range” of these big cats. Oklahoma Department of Wildlife Officials did concede that these big cats, while rare, do live in Oklahoma. 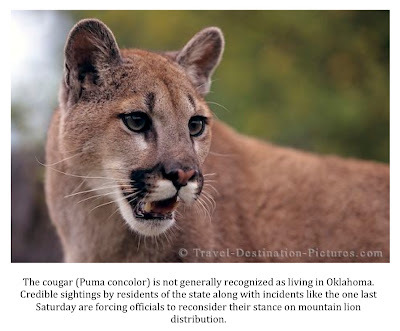 It was quickly added that they tend to be found in the southern and western parts of the state, however, which makes the find of a cougar anywhere close to Tulsa a rare event. I am hoping that officials will see fit to relocate this big cat. According to reports it was a healthy female. Breeding females are worth their weights in gold for rare species. I would be saddened if this lion was kept in the Tulsa Zoo for the rest of its life. I am pleased that, unlike the serval found roaming about League City, Texas last week, this cat was not put down. It seems the authorities in Tulsa were better prepared for this sort of thing than the folks in Galveston County, Texas. I wonder why? It is my opinion that big cat populations are increasing. The deer population in the south is healthier than ever while the numbers of feral hogs in the region have absolutely exploded. The prey base is there for these animals. The fact that deer and hogs can both be found near large metropolitan areas leads me to believe that incidents like this could become more common. If so, I’m afraid most incidents won’t end as well as this one. You can read the original story here and see a short video from Oklahoma television station KOCO regarding the capture of this cat here. "What is a scientist after all? It is a curious man looking through a keyhole of nature trying to know what's going on." I think Cousteau boils it down nicely here. You need not have a PhD or travel to far off exotic lands to be considered a scientist. One need only to retain their curiosity and powers of observation. It was about 8:15 on a Tuesday evening, late July. Location was the end of Tile Plant Road about 1.5 miles southeast of Woodville, TX. I had slowed to cross a cattle guard and noticed what I thought was a person squatted on the bank of a small creek that runs through a friend's pasture. I stopped and it stood and headed across the pasture in my direction. I had not yet concluded this to be anything other than a trespassing fisherman, but when it covered the 100 yards from creek bank to fence in a very short time, I began to wonder. Wonder turned to astonishment as this critter (without breaking stride) cleared the 5 foot fence and 8 foot gap between fence and road landing in one step. Astonishment turned to terror when this thing stopped and faced me. Tall and heavy built, it was the largest two legged animal I'd seen outside a movie theater. Hair covered its body and most of the face with the head hair long (hanging passed the shoulders) and the face hair looking like a long beard. I was 10-12 feet from it and while the sun was low, I had not yet needed my head lights, so I was seeing him in somewhat dim light. This was not ape looking except for the hair and large long arms. I don't know what I saw, but it wasn't a man or an ape, and with that, I dumped the clutch and hauled it home. 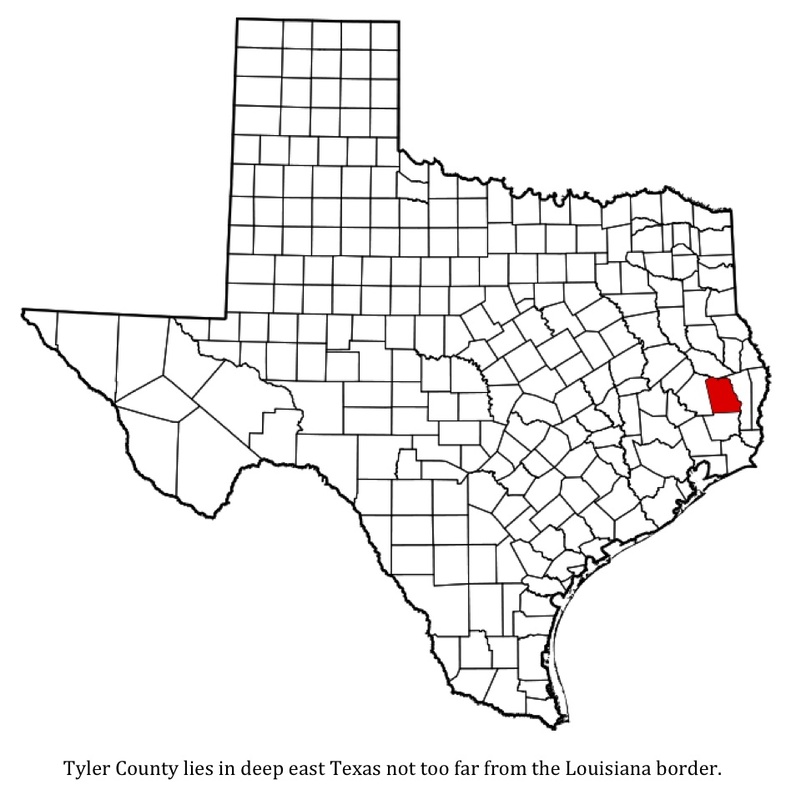 This investigation was conducted as a result of an incident that allegedly occurred in July of 1973 in Tyler County, Texas just outside of Woodville. 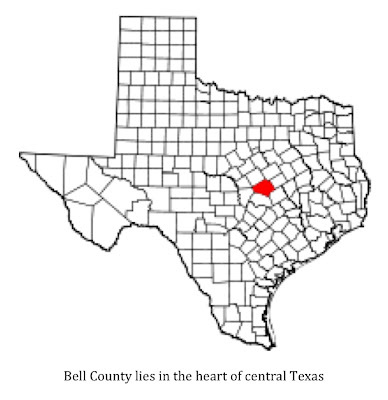 The witness, 17 years old at the time of the incident, had just dropped a friend off at his home at the end of Tile Plant Road (CR 4250) following a church youth function and was traveling north back toward FM 1746. 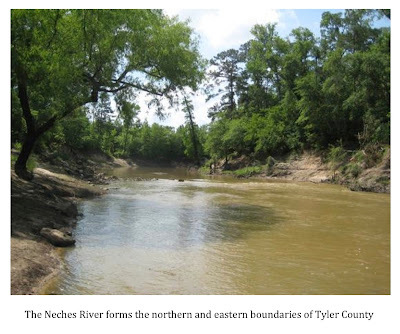 He slowed his truck down to cross over a cattle guard installed at the boundary of the property owned by his friend’s family and, as he did so, happened to notice what he thought was a person squatting on the bank of a small creek which runs across the property. The witness brought his truck to a stop to take a better look. After he did so, the figure stood up and began walking quickly toward the road and his truck. The witness said he initially thought he was looking at a large African American man wearing a large coat. He wondered briefly why anyone would be wearing a big coat in July, but this train of thought quickly passed altogether when he realized just how big the approaching subject was. The subject paused briefly in front of the truck of the witness and turned to look in his direction. The witness said the legs of the subject remained in profile while the entire upper half of its body pivoted his way. The witness said the subject paused for three to five seconds and was very close, allowing him a very good look. He described a massive creature that stood in excess of seven feet in height (this estimate was based on the fact that the subject towered over his 1963 Ford pick-up), was easily two and one-half to three times as wide as a normal man, and covered in very dark brown or black hair. The hair on the body was, as far as the witness recalls, a little more than one inch in length. The hair on the back of the head, shoulders, and upper back seemed to be a bit longer. The witness stressed the hair was not “mane-like” but definitely longer than the hair on the rest of the body. There was no hair from “eyes to mouth,” but it did grow down the sides of the head and under the mouth in a bit of a beard. The witness estimated the hair on the face was about the same length as the hair on the body. The witness said the skin on the face was dark and the skin seemed very “thick and weathered.” He said the appearance of the skin was not like that of “tanned leather,” but more like someone who had been out in the sun for years. The witness struggled to further explain the appearance of the skin, stating that it was not “smooth and shiny like that of a gorilla but more textured.” At this point in the interview, the witness stressed that the face was not ape-like. He stopped short of saying the subject looked human, but could not really add more detail than it definitely didn’t look like an ape. The witness was not able to give much detail about the body of the subject as his gaze was locked on the creature’s face. He did recall noticing pectoral muscles leading him to believe the hair on the chest area must have been thinner than on the rest of the body. He does not recall seeing any genitalia. He said the shoulders seemed wider than the hips but could not be sure due to the angle from which he was viewing the subject. The arms were very long but the witness felt they were “proportionate.” Toward the end of the encounter, as the subject walked into the forest, the witness said he noticed very thick and well-developed gluteal musculature. After three to five seconds, the subject proceeded across the road and into the woods. The witness said he “popped the clutch” and got down the road as quickly as he could. He said that he shared the details of his encounter with his father, but his story was met with laughter. After that, the witness did not discuss the encounter further with anyone for many years. He never mentioned the incident to his friend, whom he had just dropped off, or his friend’s family. He has only recently told a few people about the strange encounter he had as a 17 year-old youth. He continues to be met with derision and ridicule; however, he no longer really cares what others think. 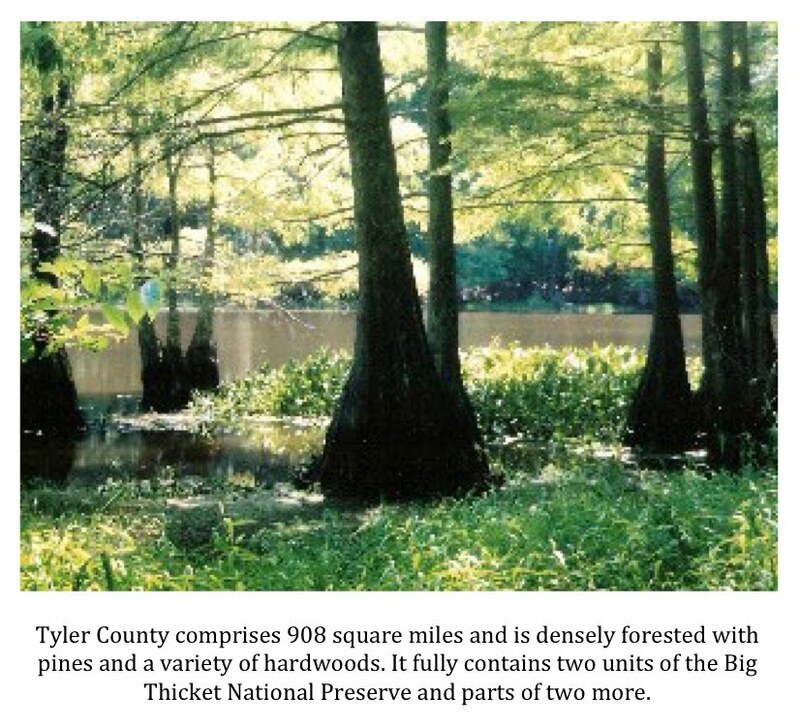 He is confident in what he saw and that is why he decided to file a report with the TBRC. I interviewed this witness at length and found no reason to suspect deception or misidentification. As part of my overall analysis of the interview and the reported information, it is necessary to concede that there is no empirical evidence that would support the witness’s claim; the date of the event alone would preclude the hope of any sort of corroboration, physical, circumstantial, or anecdotal. Moreover, I have taken into account the very real possibility that the witness’s memory could have, over time, both diminished and embellished certain facts, unintentionally or not. Having said that, in my judgment, the witness shared—in a straightforward and honest manner—his recollection of something he could not explain. It is my assessment that this gentleman no doubt believes that he had an extremely rare and up-close encounter with something matching the classic description of a sasquatch. 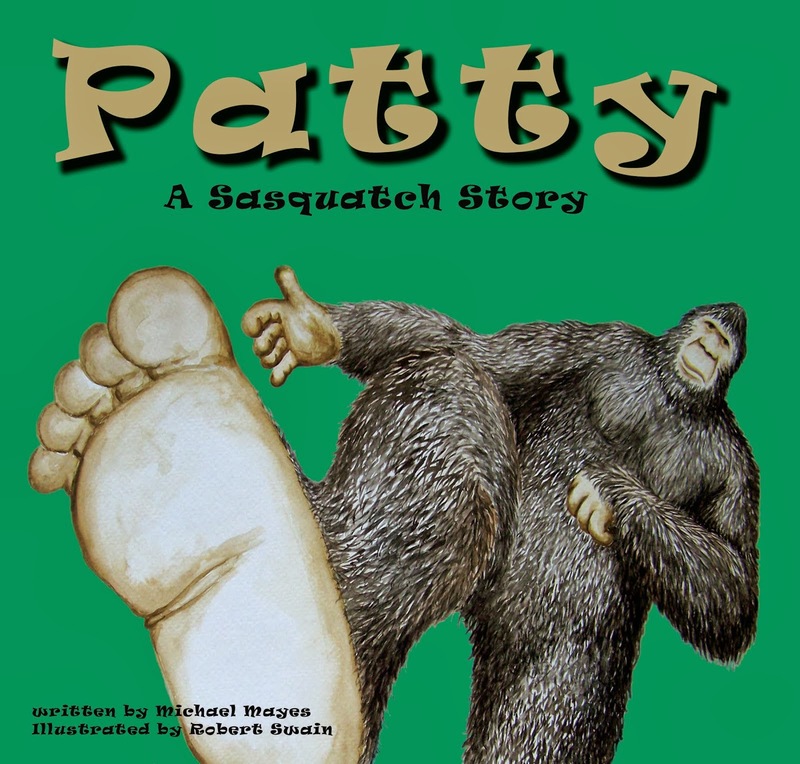 See this and other bigfoot reports at the TBRC website. According to a story by Scott Gordon on the Ultimate Clear Lake website, a serval was shot and killed by League City Police on Tuesday April 12. You can access the story here. The serval (Leptailurus serval) is a medium-sized African wild cat that typically stands 24-26 inches high at the shoulder and weighs in at 20-40 pounds. The serval is a strikingly beautiful cat with black spots in varying patterns on a tawny coat. These cats also have 2-4 black stripes running from the head down the back. 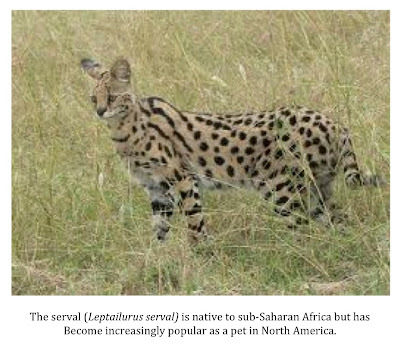 The serval is quite common in sub-Saharan Africa. Melanistic individuals are not uncommon in some regions and white servals have been documented in captivity though never seen in the wild. 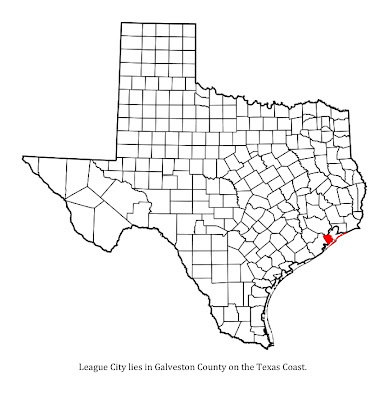 Animal control officers later found an embedded microchip in the animal which identified the cat as belonging to a Galveston County resident. 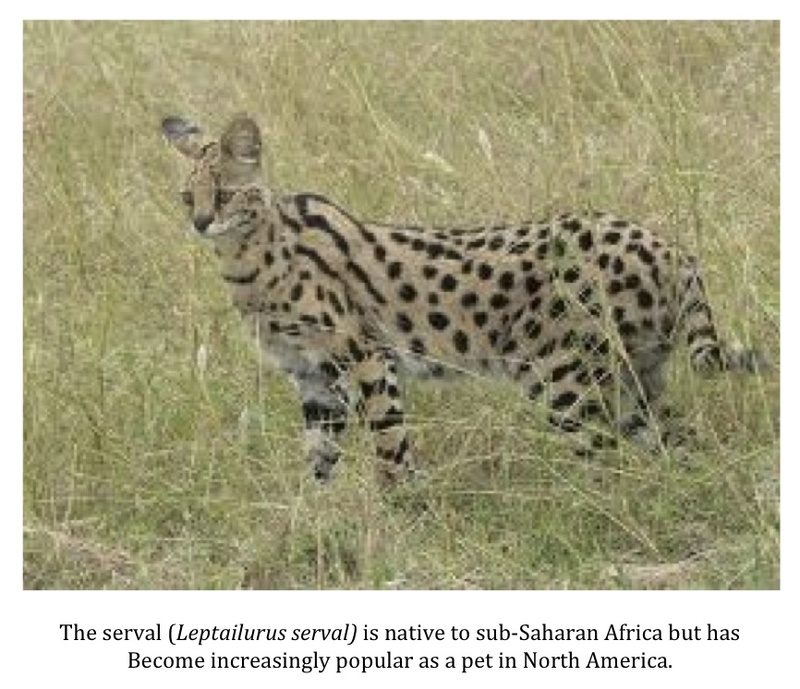 How the serval escaped and how long it was on the loose were not discussed in the article. Some question the weight of 50-pounds noted by Sgt. Jordan as this is quite a bit heavier than one would expect in a wild serval. I do want to point out this was not a wild serval but a pet. It is not unusual for exotics kept as pets to be heavier than their wild cousins. They simply don’t have to work as hard for their food. I see no reason to criticize the police spokesman for this particular detail. It is true that Sgt. Jordan and the League City police don’t come off particularly well in this story but I don’t want to be too hard on them. To be fair, it would not be realistic for a policeman in League City, Texas to be familiar with the serval or to be able to make an accurate call on just how dangerous the cat might be. To some degree the authorities were placed in a no-win situation. 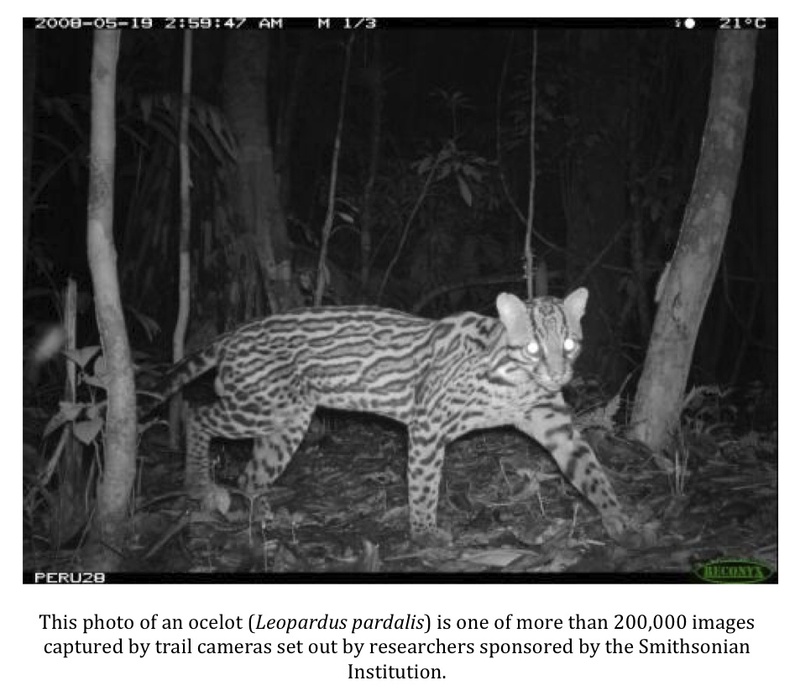 They are not equipped to capture an exotic cat. Remember, too, that the serval had been seen on the grounds of a daycare center and was found adjacent to it. Imagine the outcry had the police attempted a capture, failed in their efforts, and then some young child was injured the next day or week. No, the outcome, unsavory as it was, was not the fault of the authorities in this case. I choose to place the bulk of the blame on the owner of cat. This person failed miserably in their duty to keep their pet and the public safe. If you are going to take on the burden of raising exotic big cats then you darn well better have the facilities, supervision, and, most important of all, the will to make sure they don’t get out. The responsibility for this incident falls totally on the shoulders of the owner, in my opinion. I’m afraid this could become a more common occurrence. 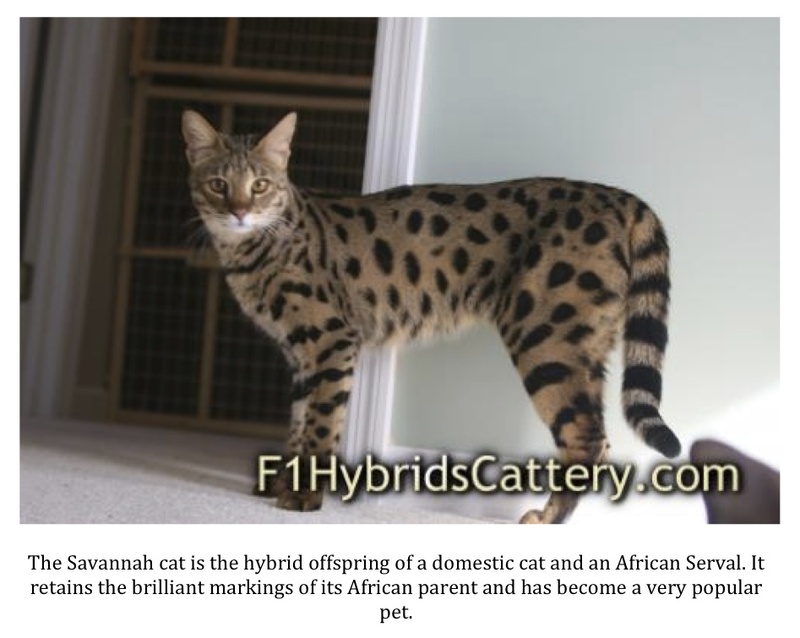 Servals are being bred with domestic cats to form a hybrid breed of domestic called the Savannah cat. The Savannah cat is smaller than the serval but retains the brilliant striping and spotting of its exotic parent. The breed has become increasingly popular so the demand for servals for breeding purposes has sky-rocketed. Hopefully, owners of these exotic cats will take heed due to what happened to this unfortunate specimen and, if they haven’t already, take every precaution to make sure the same fate doesn’t await their cats. *My thanks to my friend Angelo Landrum for the heads up on this story. Here is a photo of a chimp strolling about in a bipedal fashion. The photo was originally published on Jane Goodall's Facebook page. Notice just how massive the shoulders, arms, and chest are on this animal. This chimp is likely about five feet tall in this upright position. Can you imagine seeing something like this, only two feet taller and proportionately more massive, strolling across a remote forest road, pipeline cut right-of-way, or even into your camp? The photo captures an undeniably alien scene. 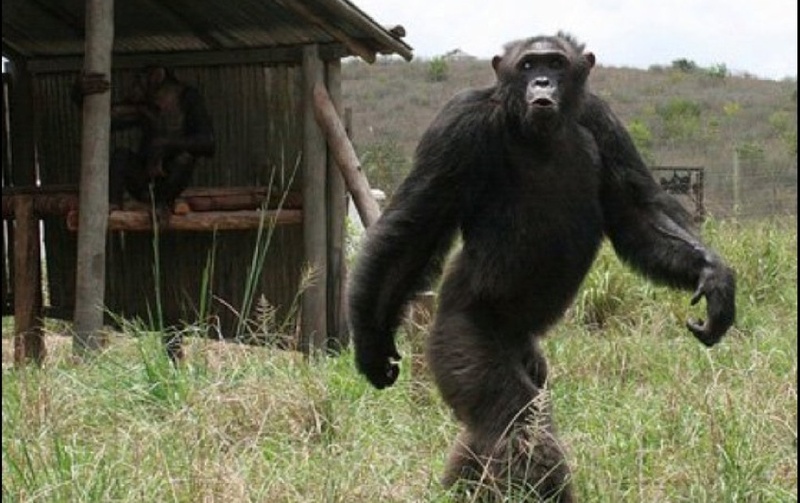 Apes are just not supposed to walk this way. I think it strikes a primal chord in us. I believe this is the reason many refuse to even consider the possibility the sasquatch is a living species. It is just too creepy for many to handle. 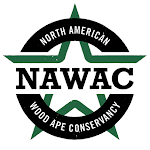 The following article was written by TBRC Chairman Alton Higgins and discusses what may be the earliest documented descriptions of sasquatch observations and behaviors yet discovered in North America. 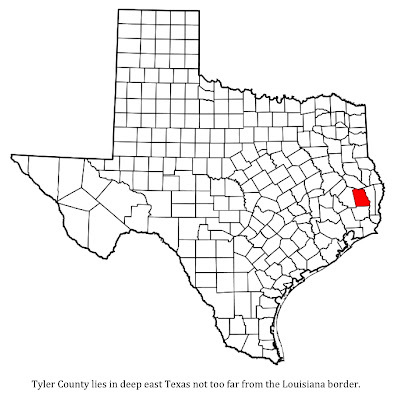 The Texas Bigfoot Research Conservancy has long advocated the position that a large upright primate exists in the most remote confines of Texas, Oklahoma, Arkansas, and Louisiana, particularly the region where those states adjoin. However, it cannot be denied that popular culture strongly identifies Western Canada and the heavily forested parts of the Pacific Northwest as the most likely abode of the sasquatch. Certainly, legends and more contemporary accounts from other parts of North America have been recorded, but reports originating south of the U.S. border are rare. While this may be considered to be a function of both language differences and a less technologically connected populace, it is probably safe to say that the sasquatch is generally visualized as a creature of the higher latitudes. 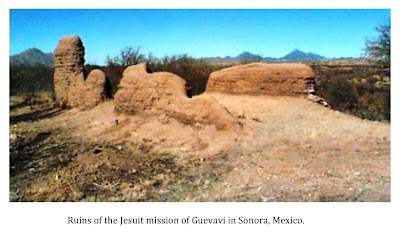 The following highlighted passages were taken from the writings of one of the Jesuit missionaries who worked in the villages of the Province of Sonora in the eighteenth century. 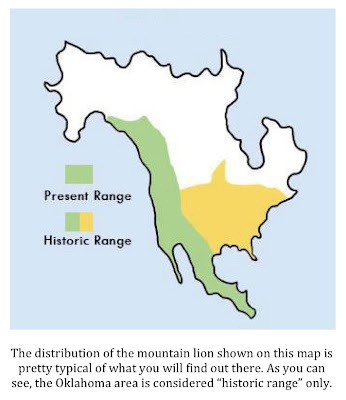 As described by Brown in The Grizzly in the Southwest, eighteenth-century Sonora extended “northward on the west side to the Sierra Madre from Cajeme (now Ciudad Obregon), near the California Gulf coast, to Tucson,” an ecologically diverse area of deserts, semiarid grasslands, and mountains comprising the northern portion of the modern Mexican state of Sonora and the southern portion of Arizona. Father Ignaz Pfefferkorn (b. 1725), a German Jesuit, labored among the Pima Indians from 1756 to 1767. Following the expulsion of his Order from Spanish dominions, he penned a Descripción de la Provincia de Sonora, first published in German (Beschreibung del Landschaft Sonora) in 1795, and later translated into Spanish and English. Because of their experiences and close observations of the geography and the different people who lived in the provinces, the reports and letters of missionaries provide valuable information for historians and anthropologists. Pfefferkorn is considered an extremely reliable and creditable observer, and his writings are widely cited by historians. There were, of course, only two species of bear in the Province of Sonora during the eighteenth century. The “cinnamon bear” was almost certainly the grizzly (Ursus arctos horriblis), a species few people realize once existed at such southerly latitudes. Much of Pfefferkorn’s book features information related by indigenous tribal members. In relating descriptions of bear depredations, Pfefferkorn may have inadvertently recorded some of the earliest accounts of sasquatch interactions with humans. 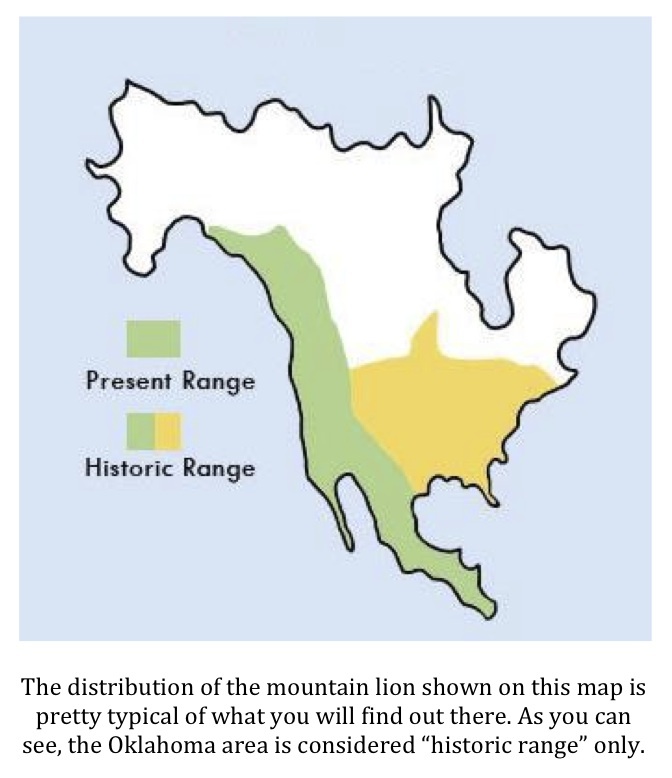 It is likely that, as he noted the following Indian reports, he presumed they were talking about grizzly bear activity, as did Brown in The Grizzly in the Southwest. That certainly appears to be the case in the first sentence. However, it is also possible that the creature described by some of the Indians in the remainder of the passage was the sasquatch, not the predominantly diurnal grizzly bear. Such comments may seem incongruous for a highly educated man who traveled widely and lived for years in bear country. Pfefferkorn had earlier described seeing a grizzly bear while he was on a journey. His Indian guide attempted to kill it, but the bear, wounded by his pursuer, killed the man instead. With this kind of personal experience, it seems odd that Pfefferkorn would think (or insinuate) the same species was capable of walking bipedally so as to carry off large quantities of corn “in his mighty arms” and to be able to throw rocks more forcefully than “the hand of the strongest man.” Is it possible that Pfefferkorn, while confident in the inherent truthfulness of his Indian collaborators, secretly harbored doubts that the Indians had accurately identified the nocturnal rock throwing visitors to their cornfields? While the supporting evidence is, admittedly, extremely limited, and the proposition speculative, I propose the possibility that Father Pfefferkorn heard some descriptions of sasquatch observations and activity that have been credited for centuries to the grizzly bear. Brown, D. E. (1985). The Grizzly in the Southwest. Univ. of Oklahoma Press, Norman. Pp. 16-18. Pfefferkorn, I. (1949). Sonora—a description of the province. Translated and annotated by Theodore Treutlein, from the 1875 German edition. Univ. of New Mexico Press, Albuquerque. Pp. 106-108. *This article was originally posted on the TBRC website and is reproduced here with permission. According to a post by an administrator on the Texas Fish & Game forum, a wolf has been killed in Missouri. Read the post here. 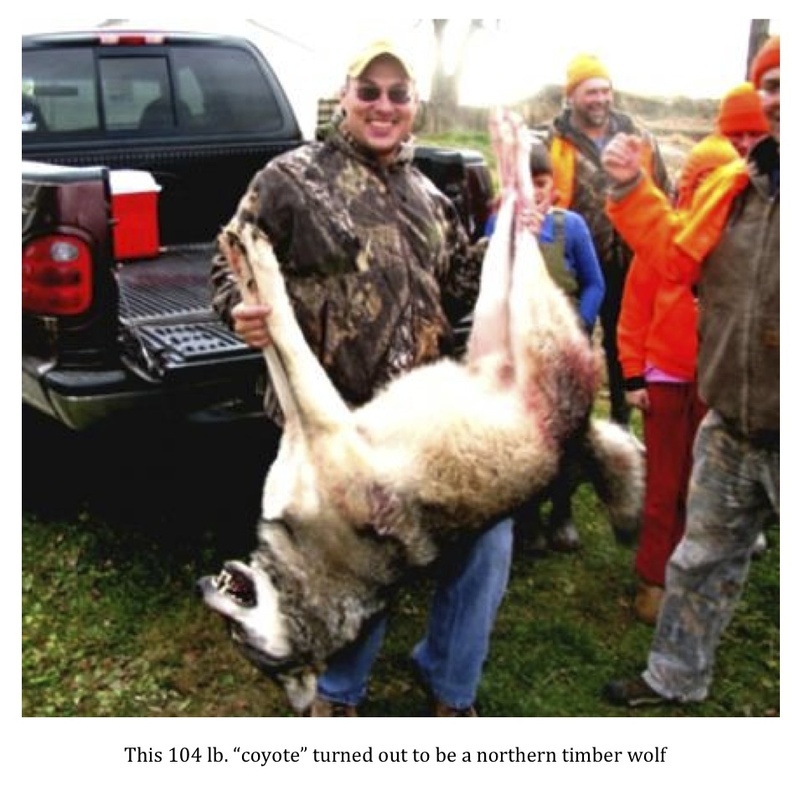 Last December a report came out of Missouri that a huge coyote weighing in excess of 100 lbs. was shot and killed in Carroll County. This just did not seem possible to many as coyotes (Canis latrans) typically weigh 25-40 lbs. The Missouri Department of Conservation (MDC) questioned this identification as well and ordered DNA testing. At first, the MDC was looking for evidence that a coyote had interbred with a domestic dog. Initial test results, however, identified the animal as a coyote. The MDC was not satisfied with this result and dug a bit deeper. Officials began comparing the DNA of the subject to that of similar species from other regions of the country. Despite the fact that wolves have long been thought extirpated from Missouri, scientists took the extra step of comparing the DNA from the huge Carroll County canine to that of wolves. Officials first compared their sample to that of western gray, or timber, wolves (Canis lupus). The results did not show enough similarities for officials to comfortably label their mystery canine a wolf; however, they found a very close match when a sample was compared to DNA taken from wolves in Michigan. “Lots of people were skeptical when we announced results from the first round of testing,” said MDC Resource Scientist Jeff Beringer. “We were too. But when you are trying to unravel a biological puzzle like this one, you take things one step at a time and go where the science leads you. This animal appeared to be very different from the western wolf samples it was compared with, but when we compared it with wolf DNA from the Great Lake states we found a match." With the match made the MDC has labeled the 104 lb. canine a wolf. Not a coyote hybrid. A timber wolf. So, how does a timber wolf from the Great Lakes area travel more than 600 miles and find itself in Missouri? Well, it turns out that this is not the first time it has happened. According to Beringer, an 80 lb. timber wolf was shot back in 2001 by a landowner in Grundy County. The landowner thought he was shooting at a coyote but quickly realized his mistake when he found a radio collar and an ear tag on the animal. He reported the incident to the MDC and they found the tag linked the wolf to a population in the Upper Peninsula of Michigan. Reports of large wolf-like canines, too large to be coyotes, come in from time to time from many areas where they are no longer supposed to exist. Many have reported seeing wolves here in Texas. I have heard several tales of wolves spotted in the Big Thicket of SE Texas. I’m not talking about the smaller and more slightly built red wolf (Canis rufus) that was common at one time in Texas either. I am talking about wolves well in excess of 100 lbs. Timber wolves. Maybe the lesson we should take from this incident in Missouri is not to be too quick to dismiss such reports. Things have been pretty quiet on the Ivory-billed woodpecker front of late. The excitement of the Cornell University expedition into the Big Woods area of Arkansas has died down and the disgust over the whole Daniel Rainsong saga has abated. It does seem, however, that there have been some things going on quietly behind the scenes. 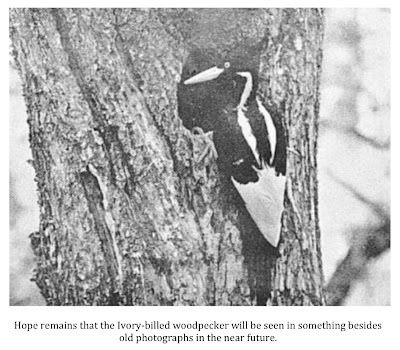 An article by John Fleming on The Anniston Star website tells the story of Auburn Professor Geoff Hill and his experiences searching for the Ivory-billed woodpecker. You can read the article in its entirety here but I will give you the gist of it below. Geoff Hill, a professor of ornithology, knows he saw an Ivory-billed woodpecker on several occasions back in 2005 and 2006 while researching in the swamps and marshes of the Florida Panhandle. His team, accomplished birders all, reported at least 14 sightings of their own. The team also compiled hundreds of recordings of the distinctive call the Ivory-billed woodpecker is known to have made. You would think these sightings and recordings would have the birding world bouncing off the walls in excitement.You would be wrong. “It proves nothing,” Hill said. 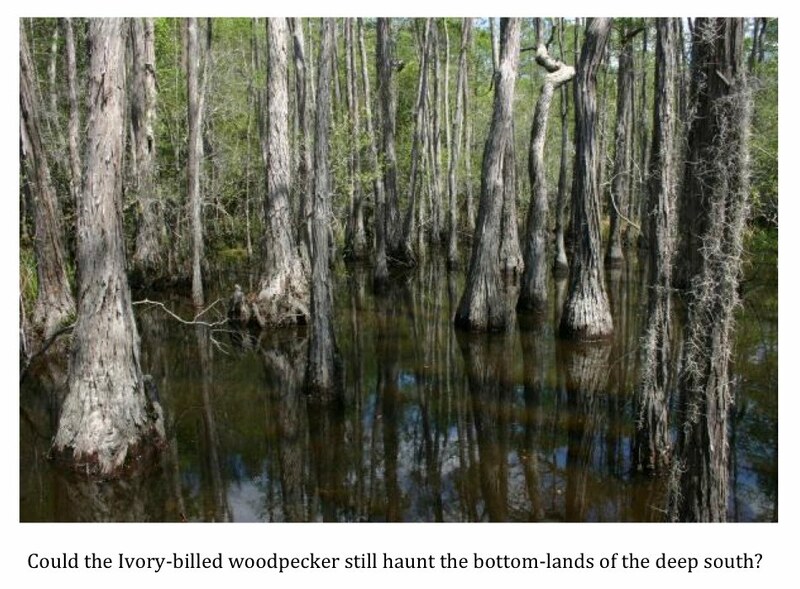 Hill also has a video clip shot during that time in Florida that he says features a living Ivory-billed woodpecker. He says the clip is short and the resolution is not great. He does mention that you can hear one of his grad students, Brian Rolek, say, “Ivory-bill,” on the video. In the next breath, however, Hill dismisses the video as not being good enough to provide the concrete proof needed by science to conclusively show that this ghost bird still exists. He is convinced the Ivory-bill still lives but knowing it and proving it are very different things. Agnew is a veteran birder who is extremely familiar with the pileated woodpecker which is often mistaken for its Ivory-billed cousin. He says what he saw was an Ivory-billed woodpecker. He noted that the bird he saw had distinctive white trailing edges on the underside of its wings. This is a feature unique to the Ivory-billed woodpecker. Agnew’s fellow researcher Sally Wolliver saw what they think is the same bird shortly thereafter. 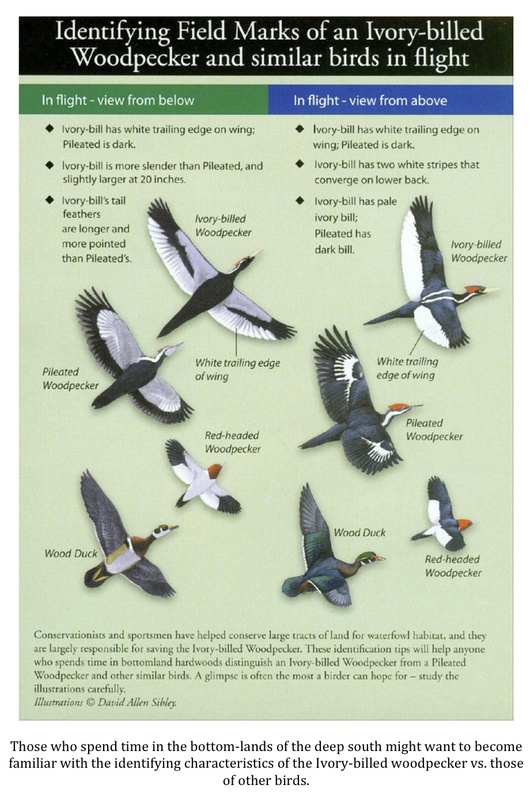 No image was captured, however, and the status of the Ivory-billed woodpecker remains unchanged. Geoff Hill remains a man conflicted. He is sure the Ivory-billed woodpecker still exists but afraid that the will to find it has gone. Too many regard funds spent on the search for the ghost bird to be a waste of money that could be better spent trying to preserve species that are in trouble but science knows still exist. In addition,the disappointment that has followed other promising leads has left a bad taste in the mouths of many. Hill understands these things well. Still, Geoff Hill does not have a defeatist attitude. He remains realistically hopeful. This hope if fueled, in part, by one compelling photograph. During their research, Hill's team mounted game cameras in the forest pointing at suspected Ivory-billed woodpecker haunts. Over 7 million images, most of squirrels and small birds, including other woodpecker species, were captured. All of the pictures featured easily identifiable animals…except for one. 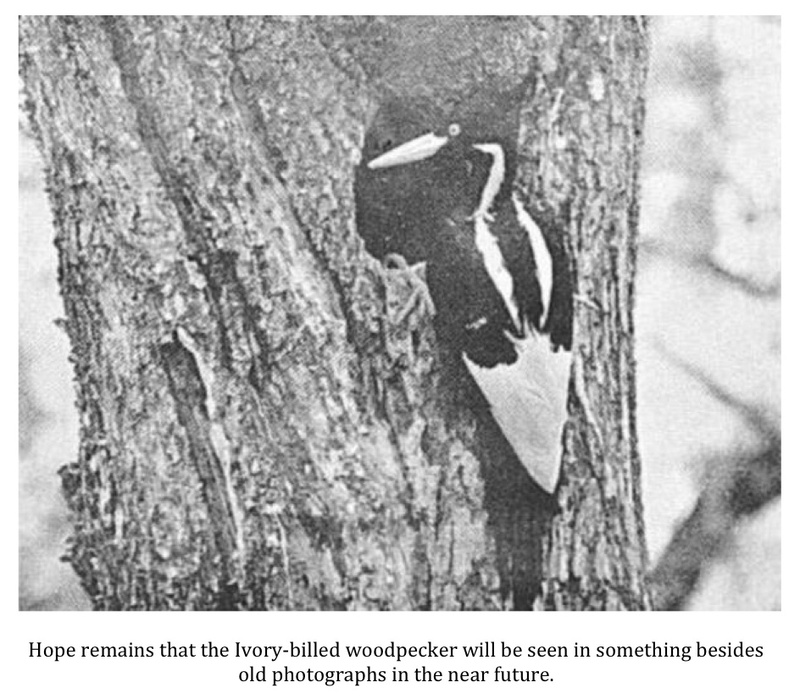 It is this photo that continues to stoke his hope for the Ivory-billed woodpecker. “Well, look at it,” Hill told the reporter Fleming while pointing at the image on his computer screen. “What is that? I don’t know, could be an Ivory-bill, could be a cormorant, could be herons. It’s like an inkblot. It gets us nowhere.” Still, he returns to the image over and over. Believing it, knowing it, being able to prove it. It always comes back to that. The article ends with Professor Hill repeating a by now familiar refrain. I have some very cool news. The official TBRC iPhone app is now available to the public. To my knowledge, it is the only app of its kind out there. The app costs only 99 cents and is available now on iTunes. Visit the TBRC site for more details. Field & Stream has published a gallery of 100 images captured by trail cameras from all over the world. The site features some really great photos of all manner of animals. Check it out here. The Field & Stream gallery is actually just a small portion of a collection of well over 200,000 images captured by Smithsonian researchers in nine different locations around the world. You can view all the images at the Smithsonian WILD site here. Some of the photos are quite spectacular and feature animals both rare and common. The animals captured digitally include giant pandas, snow leopards, ocelots, sun bears, jaguars, margays, jaguarundis, and many, many others. If you like wildlife photography, check out these photos. I think you’ll be glad you did. Game Camera Captures Photo of 8 Cougars...Is it Real? 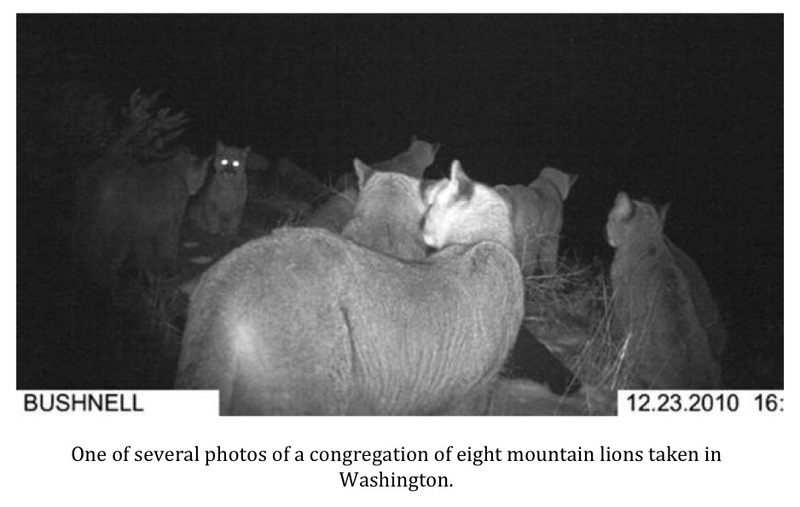 A remarkable set of photos has been circulating showing eight mountain lions in one location. Various rumors concerning the photos have begun to pop up as well. I thought it might be a good time to address some of these rumors and, to the best of my ability and knowledge, set things straight concerning these remarkable photographs. First, let’s address exactly where the photos were taken. There is a growing rumor that the shots were taken near Brady, Texas. I have seen this stated on several hunting forums. 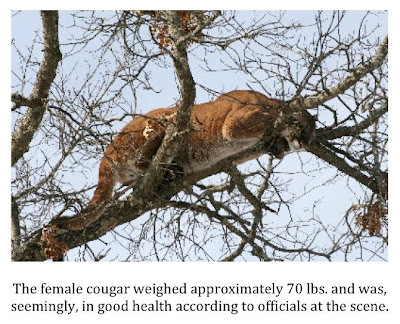 Multiple readers have emailed in who have heard this rumor and asked why I have not addressed this remarkable gathering of cougars since it took place in the Lone Star State. The answer is pretty simple. The photos were not taken in Texas. I was aware of the photos but, with exceptions here and there, tend to keep my eye on more regional things. The pictures were actually taken on a Douglas County ranch in Washington state. You can access an article about the photos on the Field & Stream website here. Something else I’ve read is that if the photos are real it must signal some sort of explosion in the mountain lion population that could lead to the decimation of the deer population in Washington. This is simply not true. As the wildlife biologist quoted above said, this congregation is unusual but not unheard of. It is true that cougars tend to be solitary animals. They do not live in prides like African lions do; however, cubs stay with their mothers for up to two years. While female lions are fiercely protective of their young and are willing to fight off much larger animals to protect them, they do tend to be more tolerant of other females with young. Cubs nearing maturity look very much like adults in size and color. I think what is going on in the photos is that two mature females with several almost mature cubs met up in a spot that just happened to have a trail camera watching over it. There is likely nothing more to it than that. Coincidentally, another incident of multiple cougars congregating recently took place in Arizona. A photo of these big cats clearly shows a mother with two cubs nearing maturity. 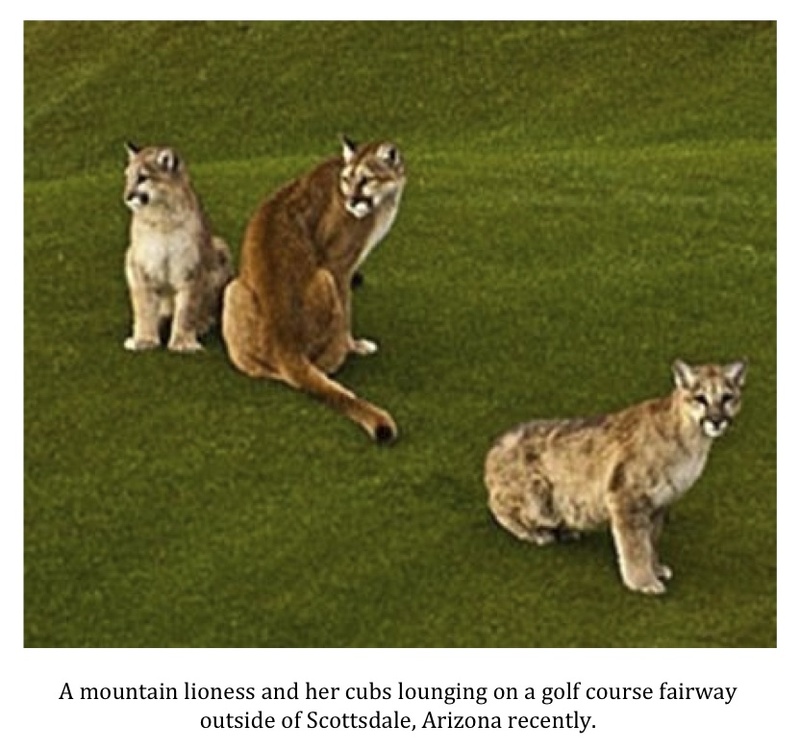 The cats were photographed as they lounged about on the fairway of the par-5 4th hole of the Desert Mountain Golf Club’s Cochise Course in Scottsdale. The mother is clearly identifiable by her dark solid honey-colored coat. The two cubs are slightly smaller and still exhibit some signs of the spots common to young cubs (view a gallery of these cats here). 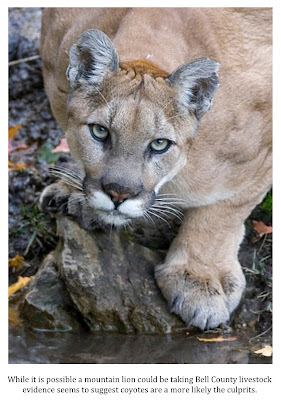 I would be willing to bet the same sort of markings would have been visible on at least some of the big cats photographed in Washington if the image had been in color. The images captured in Washington are remarkable and the owner of the camera that captured them must be thrilled with his good fortune. My hope is that one of my cameras will capture something equally remarkable, if not more so, one day soon.